The word ‘hero’ is often used very loosely today, but one man in particular emerged from the terrible Notre Dame inferno having reminded us all of what it really means. The brave French priest who helped the wounded in the Bataclan terror attack on Paris and who survived an ambush in Afghanistan also did something truly remarkable and selfless as the flames raged in the heart of Paris. Jean-Marc Fournier, chaplain of the Paris Fire Brigade, rushed straight for the relics housed in the cathedral to rescue the Blessed Sacrament and the Crown of Thorns relics from the blazing building on Monday night. During his time as an army chaplain, he survived an Islamist ambush in which ten soldiers were killed. 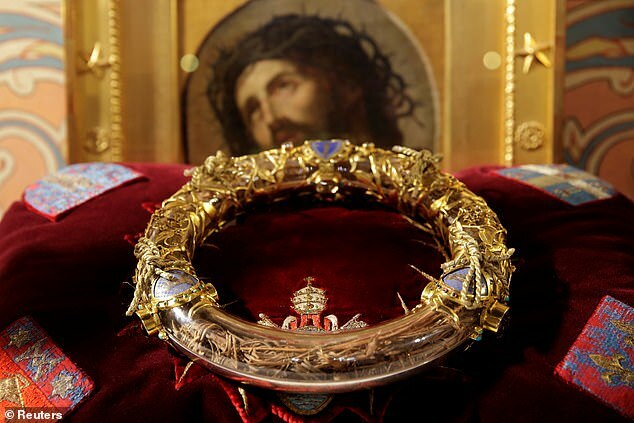 Etienne Loraillere, an editor for France‘s KTO Catholic television network, said Father Fournier ‘went with the firefighters into Notre Dame Cathedral to save the Crown of Thorns and the Blessed Sacrament’. This was confirmed by an emergency services source who said: ‘Father Fournier is an absolute hero.